This cat tapestry blanket and woven cat-shaped throw pillow are the purrrfect combination for your sofa! 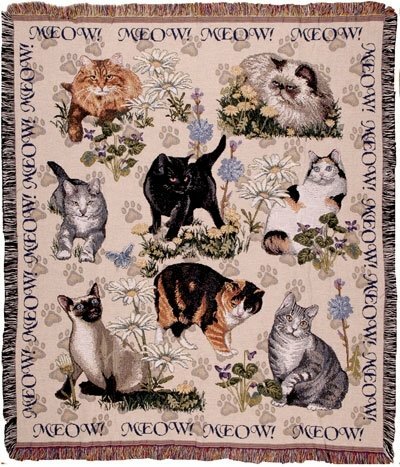 The blanket is 100% cotton and features eight different types of cats posing playfully. 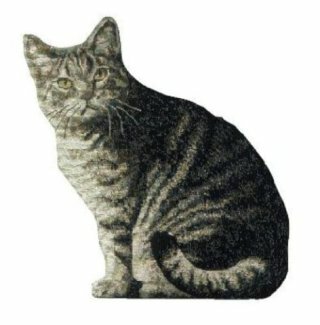 The pillow looks like a realistic gray tabby, and matches one of the kitties on the blanket. Each of these is cute on its own, but combined each piece complements the other perfectly, offering a completed look to a cat lover's couch. All you'll need to match these is your actual cat! For more information about the cat tapestry blanket, click here, or click here for information about the woven cat-shaped pillow. The Force Is Strong With This Kitten -- The Animal Video Of The Day!! !